WASHINGTON – The Student and Exchange Visitor Program (SEVP), part of U.S. Immigration and Customs Enforcement’s (ICE) Homeland Security Investigations (HSI), released “SEVIS by the Numbers,” a quarterly report of international students studying in the United States, Wednesday. The report is based on data from the Student and Exchange Visitor Information System (SEVIS), a Web-based system that includes information on international students, exchange visitors and their dependents while they are in the United States. As of April 1, almost 1.02 million international students were enrolled in nearly 9,000 U.S. schools using an F (academic) or M (vocational) visa. This marks a two percent increase from January. Seventy-five percent of all international students were from Asia, with 29 percent from China. Saudi Arabia and India had the greatest percentage increase of students studying in the United States at 10 and eight percent, respectively, when compared to January statistics. The top 10 countries of citizenship for international students included: China, India, South Korea, Saudi Arabia, Canada, Japan, Taiwan, Vietnam, Mexico and Brazil. The April report also included key insight into which international students pursue STEM (Science, Technology, Engineering and Mathematics) coursework. Sixty-seven percent of international students studying STEM fields were male. Forty-three percent of all international STEM students studied engineering. Seventy-eight percent of international students from India studied STEM fields, while only eight percent of international students from Japan studied STEM fields. Other key points from the report include: 77 percent of SEVP-certified schools had between zero and 50 international students; 72 percent of international students were enrolled in bachelor’s, master’s or doctoral programs; and California, New York and Florida had the most SEVP-certified schools. A school must be SEVP-certified before it can enroll international students. The full report can be viewed here. Report data was extracted from SEVIS April 1. It provides a point in time snapshot of data related to international students studying in the United States. Data for the previous “SEVIS by the Numbers” was extracted from SEVIS Jan. 15. 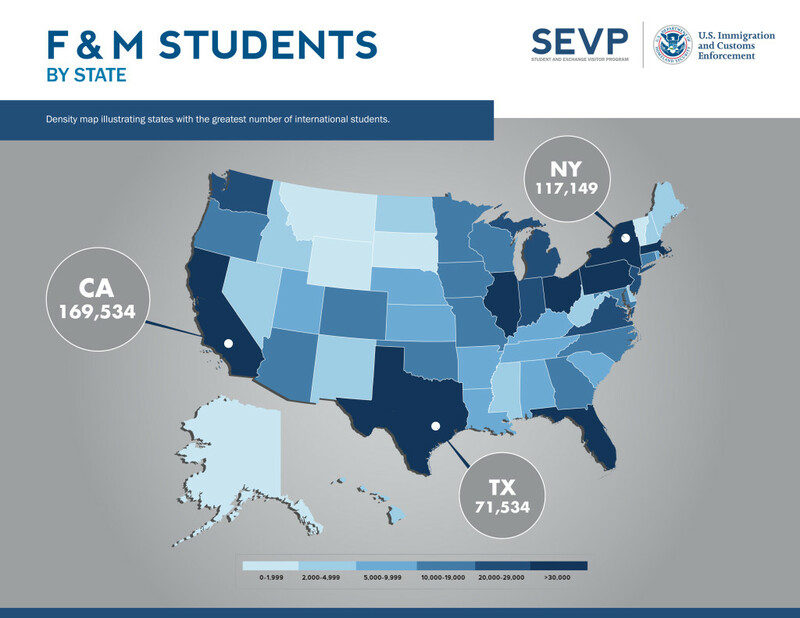 SEVP monitors approximately one million international students pursuing academic or vocational studies (F and M visa holders) in the United States and their dependents. 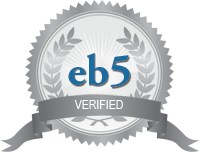 It also certifies schools and programs that enroll these students. The U.S. Department of State monitors exchange visitors (J visa holders) and their dependents, and oversees exchange visitor programs. Both agencies use SEVIS to protect national security by ensuring that students, visitors and schools comply with U.S. laws. 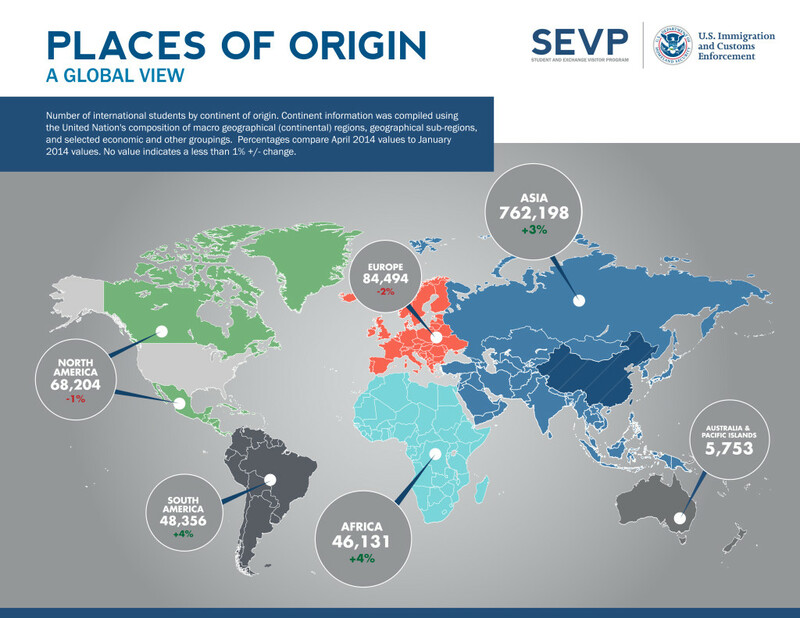 SEVP also collects and shares SEVIS information with government partners, including CBP and U.S. Citizenship and Immigration Services, so only legitimate international students and exchange visitors gain entry into the United States. HSI reviews potential SEVIS records for potential violations and refers cases with potential national security or public safety concerns to its field offices for further investigation. Additionally, SEVP’s Analysis and Operations Center reviews student and school records for administrative compliance with federal regulations related to studying in the United States. One of our biggest sources of clients at Jaensch Immigration Law Firm is foreign athletes, their relatives and foreign coaches. Many athletes and coaches are lured to this area because of the top-notch local sports academies. There are several visas for athletes and coaches and one is called the P1 Visa, which we specialize in. To read more check out our website dedicated to Sports Visas. Another popular option for people who move to Sarasota is to go back to school. There are a lot of clients of every age who, to qualify for a visa, decide to go back to school. They don’t have to take a full course load, just a few classes a week. These people would usually want to apply for an F visa. 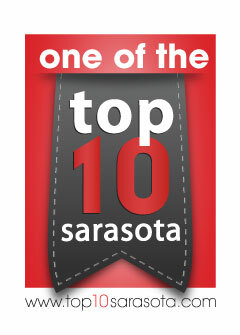 If you are wondering how to live more permanently in the Sarasota area, visit our website: VisaAmerica.com. US Student Visa laws are getting a second look in Congress these days. In an attempt to strengthen the US economy, several senators introduced bills this week that would reform US student visa regulations. The determining factor is the major that student visa holders decide to pursue. Science, technology, engineering and math (STEM) related majors are looked upon very favorably. A student visa holder pursuing one of these majors has a smoother immigration process than one who pursues a non-STEM major. Look for an article later this week that explains more about STEMs. One of the bills, S. 3192, the Sustaining our Most Advanced Researchers and Technology Jobs Act of 2012 or the “SMART Jobs Act” would create a new F-4 visa for foreign students pursuing a masters of doctorate in STEM fields in the US. After securing full time employment in a STEM field the graduates may have their status adjusted to Legal Permanent Resident. Another new bill is S. 3185, the Securing the Talent America Requires for the 21st Century or “STAR Act.” This bill would allocate 55,000 immigrant visas for eligible STEM graduates (Master’s and Ph.D.) of qualifying U.S. research institutions who have job offers in related fields by eliminating the so-called “Diversity Visa” lottery program. All these proposals are still bills and need to pass both houses of Congress and be signed by the President before they become law. But they are part of a larger pattern in Congress. Many Congressmen and Senators agree, we are better off with more student visa holders pursuing a STEM-related degree.